Is that a Devil Dog? Last night the dogs were all three at the end of the bed and we were taking some pictures because they were so cute together. 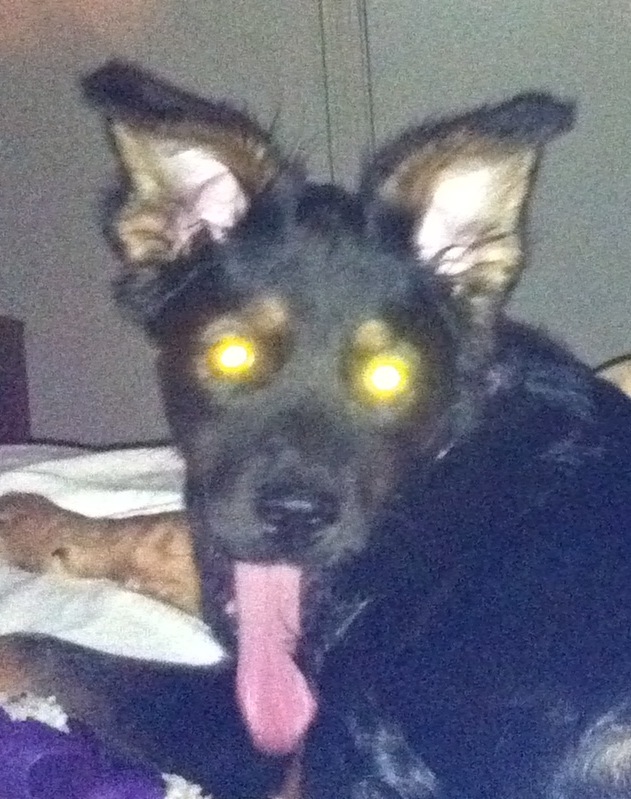 I swear Daphne is not the Devil, however, in this picture she sure looks like a hound from hell. Is she the Devil ? 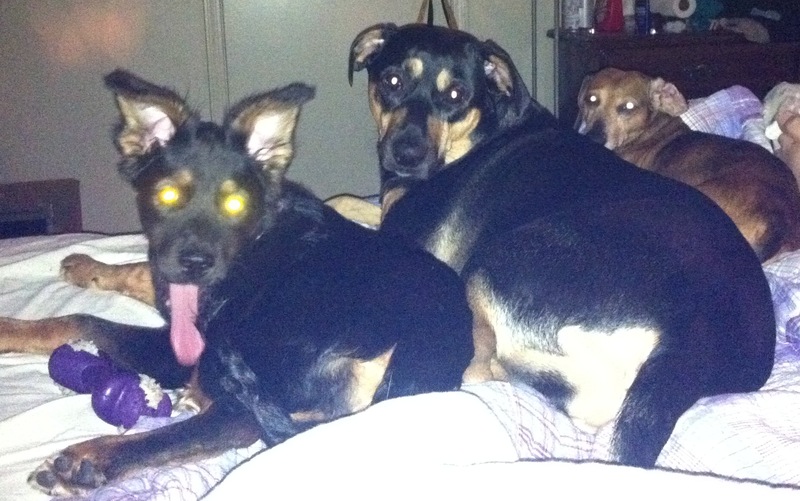 This was the actual picture of all three of them – the flash just hit their eyes in the right way. This entry was posted in Foster Babies, Furry Friends, My Children, Save a Pet and tagged dogs, Pets by tiannafonz. Bookmark the permalink.